Yesterday the world marked World Parkinson’s Day – with campaigners from across the globe joining forces to show support for the #UniteForParkinsons campaign led by the European Parkinson’s Disease Association (EPDA) and Parkinson’s UK. The Parkinson’s community took to social media to share videos and stories about how the condition has affected them. Both organisations worked together to release a special #UniteForParkinsons video to highlight what Parkinson’s truly means. The eight-minute film features people all around the world – from Tanzania to Australia – highlighting the everyday struggles those living with the condition face. The Lincoln Parkinson’s Group shared an emotive spoken word video called “I’m Still Me”. The poem – which was written by person with Parkinson’s Susan Hammond – encouraged viewers to look past the illness and see the individual behind the disease. In the two-minute clip campaigners discussed the effects of Parkinson’s – from struggling to stir a cup of tea to slurring their words – but resolved that they are all “still me”. As part of the PD365 project, Parkinson’s campaigner Emma Lawton video blogged about her condition every day for the last year. Emma took to Twitter to celebrate the completion of the project – and join the campaign. 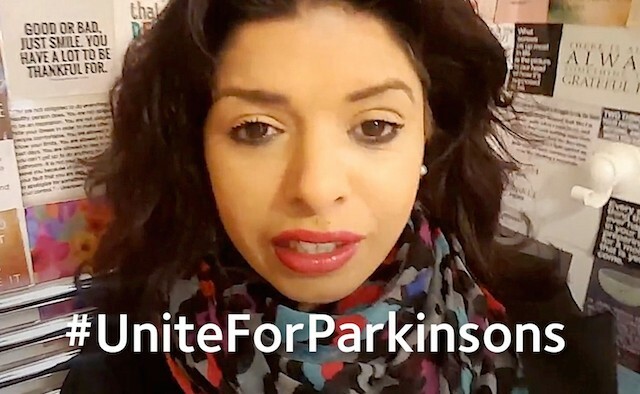 Many politicians, campaigners and high-profile media personalities also took to Twitter to #UniteForParkinsons. Jeremy Corbyn, leader of the Labour Party, UK, supported the campaign to spread awareness about the condition. I support #UniteforParkinsons with @ParkinsonsUK to spread awareness of this condition and the impact it has on 145,000 people in the UK and countless more across the world. Television presenter Dave Clark, who was diagnosed with Parkinson’s in 2011, discussed his daily struggle with the condition – and encouraged others to watch the EPDA and Parkinson’s UK’s video. Anne Twist – mother of former One Direction star Harry Styles – challenged others to join the campaign. To show its support for #UniteForParkinsons, fast food outlet Domino’s Pizza pledged to donate 5p of every pizza sold to Parkinson’s UK. Former NBA player Brian Grant supported the campaign with his own special video – saying it’s not been easy but he knew the Parkinson’s community could make a difference. Former England rugby player Mike Tindall reflected on his father’s condition, which he has lived with for 15 years. To keep up-to-date with the campaign, or share your own personal message, visit the Twitter hashtag here.